Z-PLATE.NET UniFi AP Outdoor+xRF. The UAP-OUTDOOR+ UniFi Access Point Enterprise Wi-Fi System from Ubiquiti Networks is a scalable enterprise access point solution designed to be easily deployed and managed. The UAP-Outdoor+ is designed for noisy, high-density environments and utilizes Multi-Lane RF technology to provide enhanced capacity and throughput. It includes two external antennas and a secondary Ethernet port used for bridging. In addition, it supports 802.11n MIMO technology with speeds of up to 300 Mb/s and a range of up to 600′. 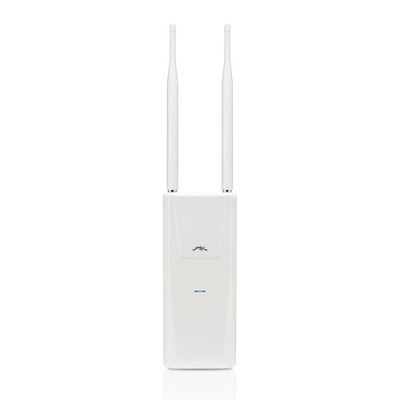 This UniFi Access Point (AP) outdoor model has a form factor that is built to last outdoors. This Wi-Fi system includes UniFi Controller software that can be installed on a PC, Mac, or Linux machine within the network, and is easily accessible through a standard Web browser. Using the UniFi Controller software, an Enterprise Wi-Fi network can be quickly configured and administered, without any special training. The real-time status, automatic UAP device detection, map loading, and advanced security options are all integrated in the system. The 802.11n MIMO technology offers speeds of up to 300 Mb/s and a range of up to 600′. The Wireless Uplink functionality enables wireless connectivity between APs for extended range. 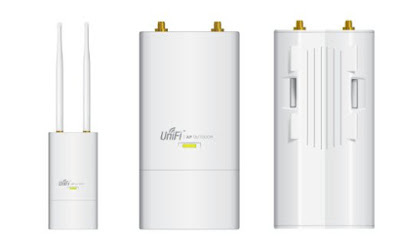 One wired UniFi AP uplink supports up to four wireless downlinks on a single operating band, allowing wireless adoption of devices in their default state and real-time changes to network topology. Easy customization options for guest portals include authentication, hotspot setup, and the ability to use your own external portal server. Use UniFi’s rate limiting for guest portal/hotspot package offerings. Apply different bandwidth rates (download/upload), limit total data usage, and limit duration of use. The UniFi AP includes hotspot functionality. It includes a built-in support for billing integration using major credit cards, and built-in support for voucher-based authentication. It also includes built-in hotspot manager for voucher creation, guest management, payment refund, full customization, and branding of hotspot portal pages. A single UniFi Controller running in the cloud can manage multiple sites, multiple, distributed deployments, and multi-tenancy for managed service providers. Each site is logically separated and has its own configuration, maps, statistics, guest portals, administrator read/write, and read-only accounts. With Ubiquiti’s Zero Handoff Roaming, mobile users can roam anywhere and seamlessly maintain the connections as they switch to the nearest AP. The Zero Handoff Roaming makes multiple APs appear as a single AP, so that it can work with any client and requires no interaction from the client device. The UniFi organizes and visualizes network traffic in clear and easy-to-read graphs. Extend Your Coverage With the UniFi controller software running in an NOC or in the cloud, administrators can extend and centrally manage the wide areas of indoor and outdoor coverage, using any combination of UniFi APs. The weather-resistant case is designed for outdoor installations. The dual, omni-directional antennas on the UAP-OUTDOOR+ provide 360° wireless coverage. 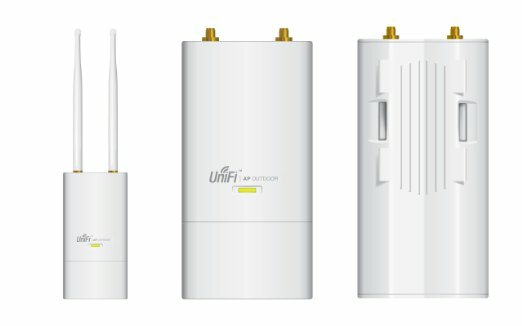 This UniFi AP-Outdoor+ includes Power over Ethernet (PoE) functionality. It also includes a Power over Ethernet adapter and can be powered by the Ubiquiti TOUGHSwitch PoE (sold separately). It is compatible with an 802.3af compliant switch.